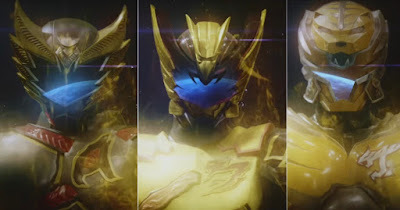 Check-out the official theatrical trailer for Ishinomori Pro and Reino Barack's Indonesian tokusatsu superhero, Satria Heroes: Revenge of darkness and is subbed in english! The trailer also features Yayan Ruhian known to fans as the @$$ kicking machine, Mad Dog from the ultimate @$$ kicking movie The Raid: Redemption. as the main hero's mentor! Satria Heroes: Revenge of darkness will premiere in Indonesian cinemas this May 4, 2017. I wish there was a Japanes dub to this series. @Barran Kodri thanks for the correction been a long time since i saw that movie.